At Allied Cash Advance, we make it quick and easy to get money when you need it most. Located next to Round Table Pizza, it’s easy to find our store in the River Valley Plaza. We offer a wide range of financial options including payday loans, cash advances and installment loans. 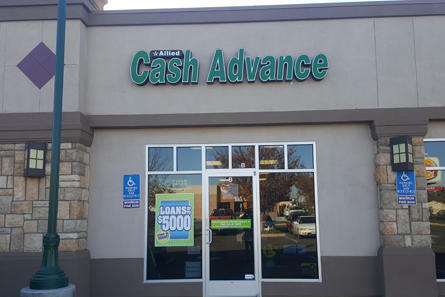 Allied Cash Advance offers payday loans from $100 to $255 in CA. Our goal is to make applying for a loan quick, easy and convenient. Apply online or visit one of our Gridley store locations to get the cash you need and experience our excellent customer service. We also offer Netspend® Prepaid Mastercard® and Western Union® Financial Services. To apply, you will need a valid ID, proof of income, an active checking account and a working phone number*.